Crafted with a a more convex bow shape, wider lathing and larger bell than other Dream cymbal series, the Contact is designed for higher-decibel playing and bright response. 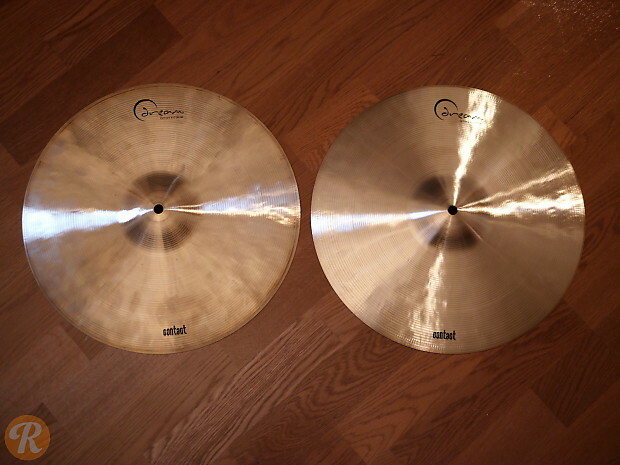 The cymbals are typically medium in weight with deep hammering patterns. The Contact Hi-Hat is warm and woody in character with an understated presence suited for softer environments. This price reflects the pair of hats.